I have received a gift from my friend. 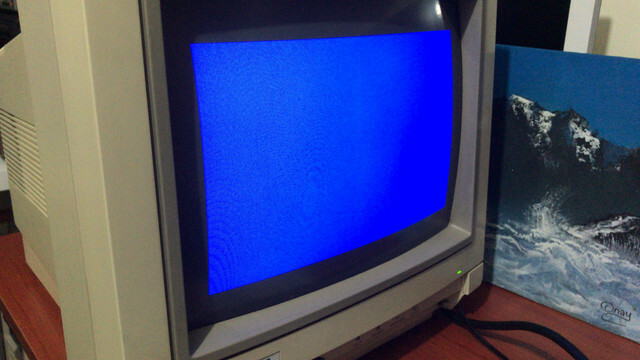 CPC464 which is not working No screen ne beep (when you press delete) at all. I've read all (almost) the stuff here. Checked chips for any hot ones exists and found out ram chips (almost all) burning like hell. So i have ordered new ram chips and soldered them. result is whole blue screen. still no beep and no burning chips. Then i checked all the IC's all gave 5.0V (some 4.7V and 4.9V). Changed Z80 cpu but still same. I have multimeter and basic soldering skills but have friends whose are good at electronics. What should i test/try next? My first guess would be a bad ROM (probably the BASIC part). It's easy to check if you have an X-MEM or a Dandanator. Otherwise, you need to desolder it and put an EPROM (or at least read the ROM into the EPROM programmer and diff with the correct binary). There are plenty of resources on this Wiki. Before soldering anything, I usually try to swap socketed chips with another CPC first. OK, you need to have a working good CPC for that. Next, before soldering anything, I use a logic probe to check if chips have "a pulse"
That sorts out 90 % of the problems for me. Can you post a video on YouTube about CPC behavior? 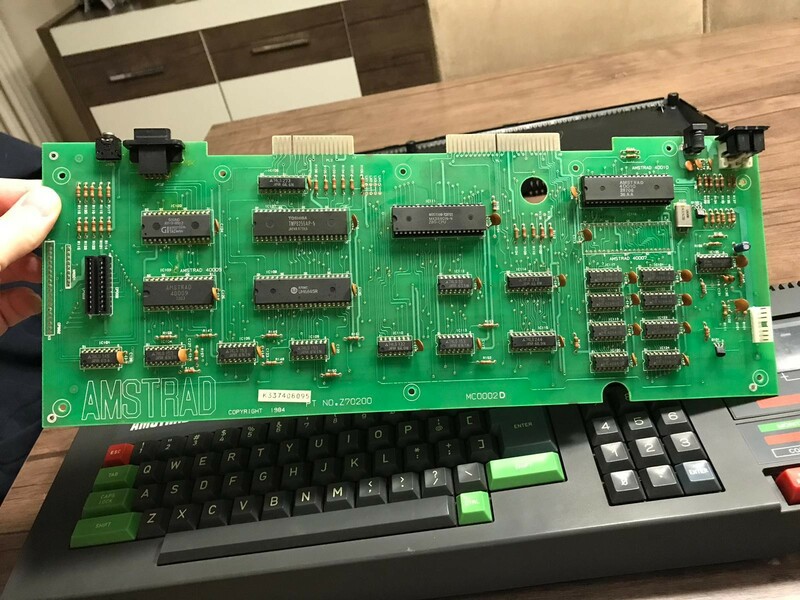 there's a 28pin chip which will most likely say Amstrad and the number 40009 on it. 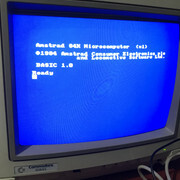 This is the Firmware/BASIC ROM. It can be replaced with a 27C256 with the right code burnt to it. Do you have access to an EPROM Programmer? If so, get a chip and download/burn the image and swap out this part. I hope you are socketing everything you've replaced? ... if you don't have an EPROMER, somebody from this board will probably help you out by sending you the chip. I am not convinced that it is the ROM though... Bryce, how frequent is that? In my experience (and I also repaired a lot of CPCs) I never had a bad ROM. If you fixed the RAM, then I think it is more likely that something went wrong there. Especially if you said you replaced ALL the chips. This is quite difficult and easy to break something. Can you post a picture of the CPC internals / RAM? So I would probably get an XMem too and run the mem test ROM. ROMs do fail quite often. But the fact that all the RAMs were getting hot means that it could be multiple parts that have failed. I think the ROM is damaged because the screen colours are correct which would signify that the RAM and CRTC and bus circuitry all seems to be fine, otherwise the colours would be wrong. So estentailly just BASIC is missing which could be a data or address line in the ROM not working. Right, but I would definitely also test the RAM. His statement in the first post, where he says "So i have ordered new ram chips and soldered them. result is whole blue screen." would suggest that the RAMs are unlikely to be the problem at this stage. Maybe he is really good / skilled at soldering. I have done that job 3 times, and I never got the RAM replaced without at least some damage to some PCB trace, and it always required follow-up diagnosis with the mem test. The idea to replace a whole set of RAM chips without having to check any of the freshly installed RAMs seems very risky to me. But you are right we should not assume that he messed it up. This is why I would like to see the mainboard and the soldering job to see how it looks with "basic soldering skills applied"
I am just suggesting that he should not start repairing and removing yet another chip without even knowing if he had fixed the original problem by replacing the RAM, or added more problem. Let's just solve one problem at a time... that would mean get an XMem such that he can run the RAM test ROM. Unless you are absolutely certain that the RAM is fixed... but then I don't see how you could be, without any test. All true and wise advice. I tend to assume that everything was done as I would do it. Thanks for all the info. First things first. I've bought sockets for every chips in board I have a friend who is fixing circuits etc. for 25 years. so he is kinda skilled at soldering / desoldering. He will do it for me this week. Yes. My friend socketed every chip for me. guess what 3 of them was faulty. I picked 8 out of 20 and 2 were faulty. I simple changed 8 with new ones. and it worked. Then i tried all old rams and news ones again and found out that 6 chips was faulty (original ones) and 3 was faulty (new ones). Cassettes i have are old new stocks but not sure if they are working or not. Any head alignment? or any way i can try? Before you start twiddling screws and moving the head, thoroughly clean the heads and the pinch wheels. In most cases that's all it will need. I have seen other posts of yours. And was going to do this first I will keep you informed here. Applied IPA to heads and wheels. No chance same. Maybe I missed it, but did you change the drive belt? I would start there. It's very normal for the cassette to spin, but slip a little or have uneven speed and cause errors.